It's the most wonderful time of the year for design in New York City. There was so much to see– here are a few of our absolute favorites. This chair is designed by Objects of Common Interest and Falke Svatun for the Norway x New York presentation hosted by Sight UNSEEN Offsite. I'm obsessed with how chunky cute it is– plus it pleasantly reminds me of John Chamberlain's foam sculptures. John Chamberlain's Untitled (1966), Urethane foam and cord. The Neotenic Lounge by Jumbo really strikes my fancy. I want to put one in my living room and then line my office space with approximately 12-600 more. I adore how they use the words "simple shapes, short thick members, soft edges, and a clumsy appearance" to describe the design. Jumbo's work for design week is sponsored and curated by Sight Unseen OFFSITE. Sight Unseen does such a singular job with their curation of fresh and creative contemporary works– it's hard to pay attention to anyone else. I think this Anya Hindmarch Chubby Cube bag belongs with The Neotenic Lounge. Which is to say they should both exist inside my home in the very near future. 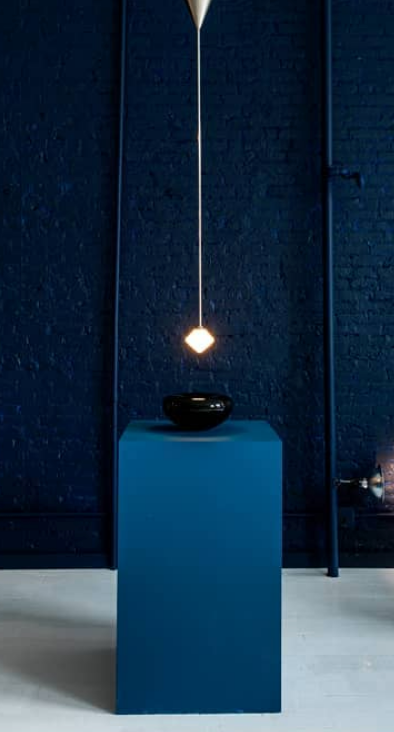 Farrah collaborated with artist Biata Roytburd to create the "Satin Khora" lighting fixture. Farrah Sit is an incredible designer. The light she created for Colony struck me as one of the most successful interpretations of this year's theme: Balanced/Unbalanced. Farrah's work installed inside Colony. Another standout is Kelly Kim's aluminum and wood light fixture titled Mokumé. She sandblasts wood to reveal the delicate grain itself which is something I don't think I've seen before. She focuses her design concepts by emphasizing the synergy between considered process and unlikely materials. 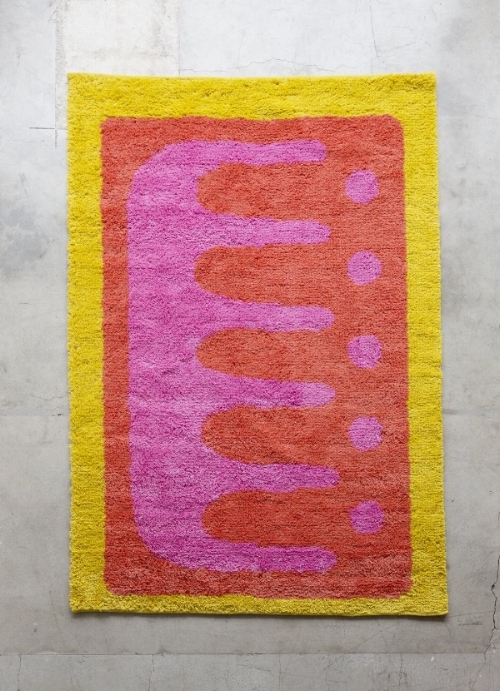 This rug by Block Shop Textiles is a combination of all my favorite things: unexpected chroma combination, toothsome texture, and clean shapes. It also doesn't hurt that when I see this rug I'm suddenly imagining myself wandering around my house in a 1960's gown by Malcom Starr, a martini in hand. Ladies and gentlemen, it's Malcolm Starr. Comb by Block Shop Textiles.